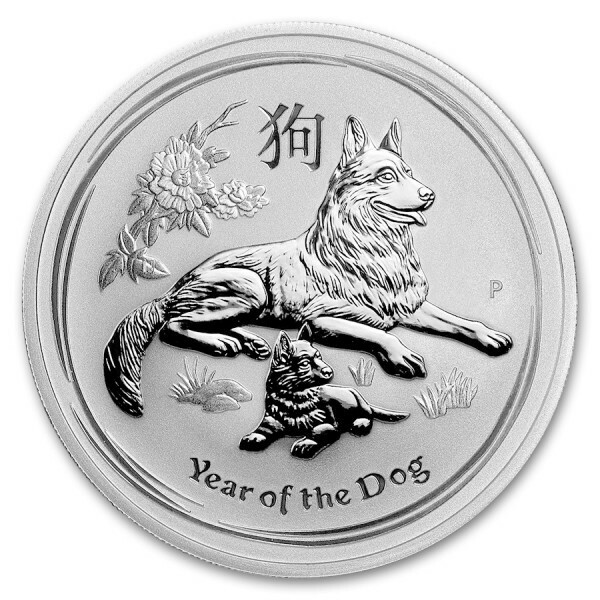 The eleventh animal of the Chinese zodiac is celebrated in 2018 with the Year of the Dog. The coins feature a German Shepherd dog and pup lying in grass with Chinese peony flowers in the background to commemorate the event. 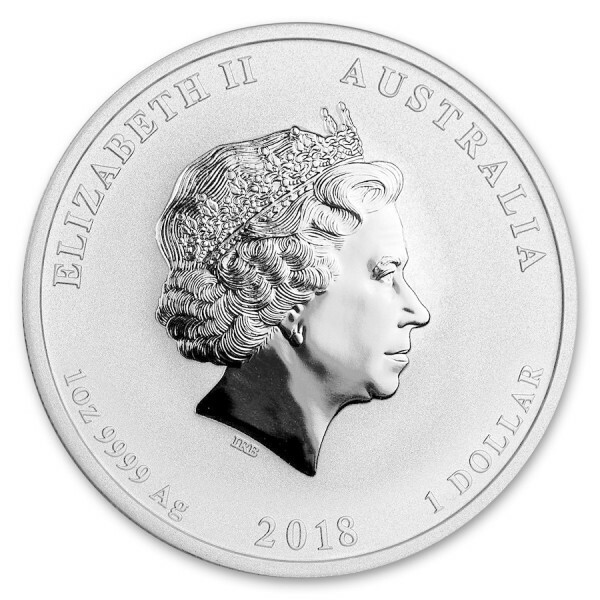 It contains 1 oz of .9999 fine Silver. Multiples of 20 come in sealed rolls.